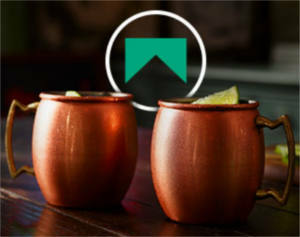 Get a FREE Copper Mug Set from Marlboro. NOTE: Login or register, then go here and click submit. If that doesn’t work, check your offers to see if it’s in your account. You only need to post a comment to get it. This mug offer is only available to a select few Marlboro members who were sent an exclusive email. If you didn’t receive the email from Marlboro offering the Copper mug set, you can not get the set of mugs!. Doesnt go through with me so what Mark said seems accurate. IT SAYS SOMETHING WENT WRONG. I would two muggs .please i registered been registered since 96 . This is the first offer I have had in so very long. This is for free water bottle. i enjoy smokeing marlboro,and would enjoy the mug set. I enjoy having a marlboro black cig.after a meal.I’ve been smokeing these cigarettes for as long as I can remember haven’t stopped since. That is great! I love free stuff!